Lionsgate has retitled the final two films in its ‘Divergent Series’ from Allegiant Part 1 & 2 to The Divergent Series: Allegiant and Ascendant. Check out the new teaser poster below. 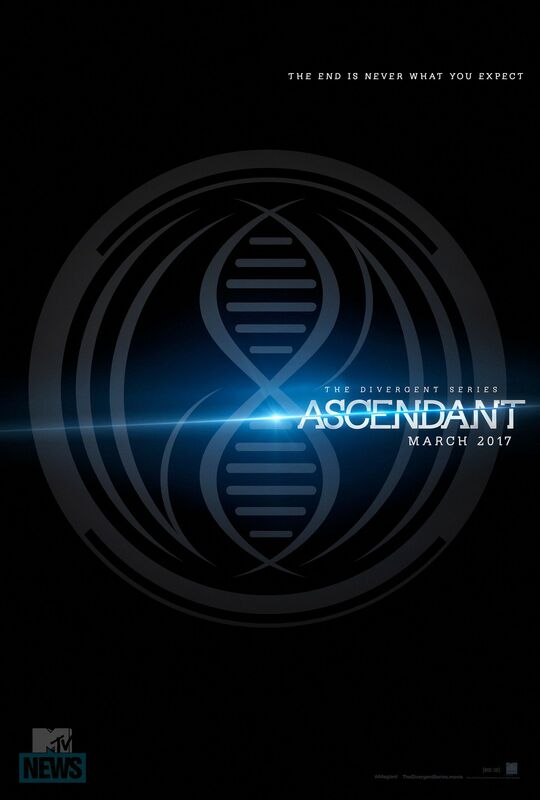 Shailene Woodley and Theo James star in the dystopian action sequel The Divergent Series: Ascendant, based on Veronica Roth’s young-adult novel. 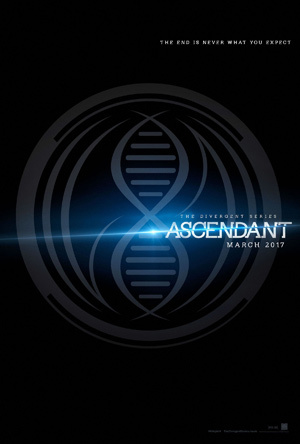 In the final chapter of Summit’s Divergent film series, Tris (Woodley) and Four (James) venture into the world outside of the fence and are taken into protective custody by a mysterious agency known as the Bureau of Genetic Welfare. Based on the explosive finale of Veronica Roth’s #1 New York Times bestselling “Divergent” trilogy. “Allegiant” reveals the secrets of the dystopian world that has captivated millions. The faction-based society that Tris Prior (Shailene Woodley) once believed in is shattered—fractured by violence and power struggles and scarred by loss and betrayal. So when offered a chance to explore the world past the limits she’s known, Tris is ready. Perhaps beyond the fence, she and Tobias (Theo James) will find a simple new life together, free from complicated lies, tangled loyalties, and painful memories.